This summer, Sixteen Mt. 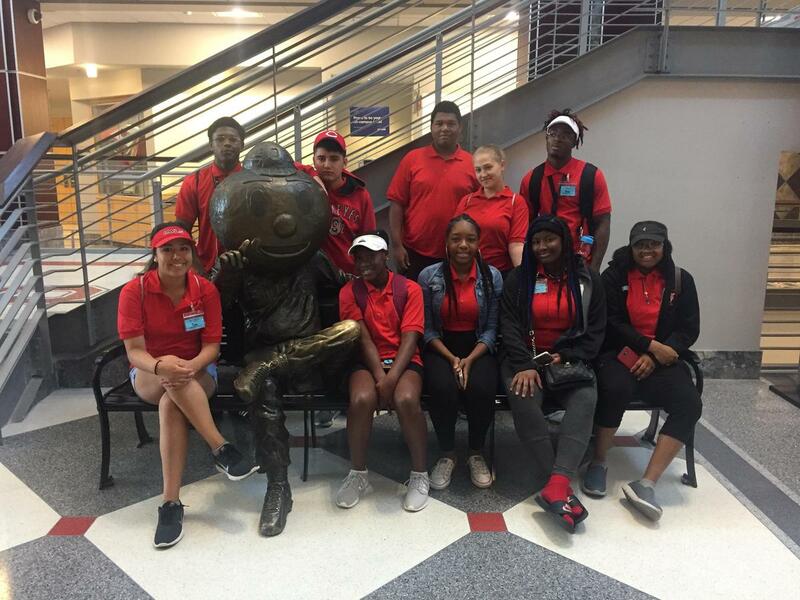 Healthy Jr/Sr High School students participated in a state-wide college tour with Upward Bound. 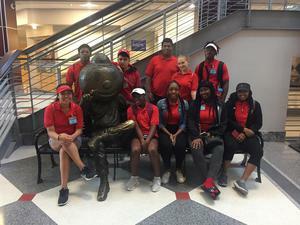 Students traveled throughout Ohio visiting Denison University, Ohio Wesleyan University, Case Western Reserve University, Columbus College of Art and Design and The Ohio State University. In addition to colleges, students toured the Rock & Roll Hall of Fame in Cleveland, COSI (Center of Science and Industry), and the Ohio Statehouse in Columbus. Upward Bound is a college prep program administered by Cincinnati State Technical and Community College that exclusively serves Mt. Healthy Jr/Sr High students and families. 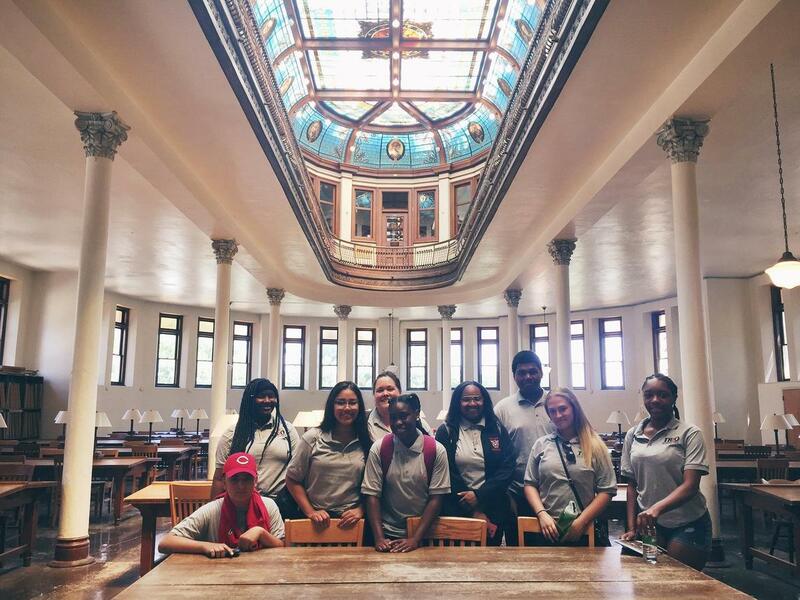 In addition to college and cultural field trips, students have access to weekly academic resources, personal development workshops and college and career guidance. All resources and opportunities are FREE for students and their families. Upward Bound is currently seeking new members! 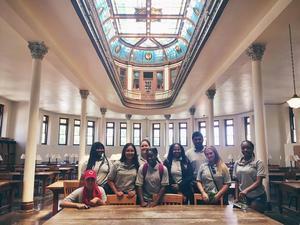 If you’d like to learn more, or have a student who would be a good fit for Upward Bound, contact Ms. Allyson Knue at 513-619-8270 or knue@cincinnatistate.edu.